(Current: 40A. Suitable for: H11 Bulbs interface. 1 x switch with LED indicators. 1 x fog light wire harness (fog light is NOT included). 1 x 12V/40A automotive relay. 1) Supports up to 2 fog lights. 4) Stable characteristics, high reliability. 2010-2012 Lexus HS250h. 2010-2013 Toyota 4Runner. 2011-2014 Toyota Sienna. Model: Toyota / Lexus. 2008-2014 Lexus LX570. 2010-2013 Lexus RX350. 2010-2013 Lexus RX450h. 2013 Lexus GS350. Item 141580787029 - 9006 HB4 P22d. 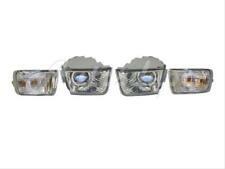 Head Fog Light LED Warning Canceller Anti Flickering ( Resistor Type ). Warning Canceller ( Resistor Type ). If you DO NOT see your vehicle in the Compatibility list, the bulb(s) will also fit ! Connect the the red wire from the fuse to battery ; connect the black wire from the reply to the battery -;. Relay: 12V 40A. Full Wiring Kit for All Light Bars with LASER ROCKER SWITCH ON/ OFF switch. 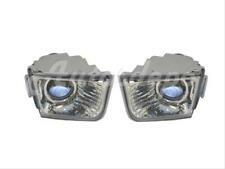 This item is for pair of NEWEST H16 type 2 high power super bright LED Fog light DRL. 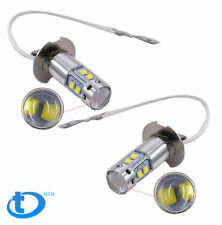 2 x H16 Car LED Light Bulb. - Best used for 2014-2017 Toyota Corolla 4Runner Yaris Tundra RAV4. This bulb is equpped with high quality LED and solid alloy mold, it will be much brighter than your original halogen bulb. 2 x High Power LED Fog Lights Bulbs. LED type: COB LED. Low Power Consumption than Halogen bulb, Energy Saving. Color Temperature: 8000 Ice Blue. Color Temperature： 8000K Ice Blue. Application: Fog/Driving Light Bulbs. 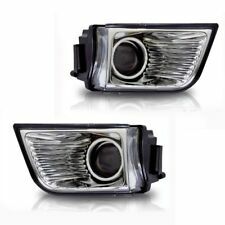 · Computer cut designed for 2009-2013 Toyota Tundra fog light. · Surface lines or surface scratches will disappear with direct heat or the sun once installed. Pre-Designed Pieces Ready to Install. Film Colors. Color Temperature: 3000K yellow 6000K white (We also have white / yellow / wihte-blue.). Product ：Fog light. (These bulbs are not suggested to be used as headlights, no high/low beam function). Our LED bulbs are engineered for superior performance, exceptional looks, and increased safety. If LED bulb doesn't light up after installation. - 100% Integrated Design, Plug and Play. 2 x H11/H8/H16 LED Bulb White 6000K. Light Color: White. No delay to light up, lighting instantly. Easy installation, direct plug in and play. Beam Angle: 90° Flood & 8° Spot Combo Beam. LED Qty: 5 50 Pcs. LED Color Temperature: 6000K. Our goal is to make your choice easier and save your money. 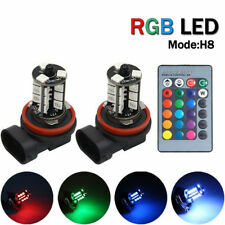 51W ROUND LED RED - https://www.ebay.com/itm/222791378400 Brand Unbranded Manufacturer Part Number SG12UBAZC27555736 UPC Does Not Apply Protection Rate IP 68 Waterproof Package included 2x 7inch Round Led Work Lights Lens Color Clear Color Temperature 6000K Wattage 51W Voltage 12V, 24V Beam Angle Spot Beam (30 degree) Material PC Lens, Stainless Steel Bracket Bulb Type LED Placement on Vehicle Front, Rear, Left, Right Warranty Yes Housing Material Die-cast Aluminum Housing Beam Type Spot Lumens (Light Flux) approx. 5100Lumen. 8000K ice blue, 6000K white dual color, one light bulb, easy to change color by turning off the fog light and turning it on again, white light is suitable for fog, rain or snow, blue is suitable for night. Beam Angle: 30° (spot beam)/170° (flood beam). Combo Beam Distribution: 60 pcs Flood LEDs 20 pcs Spot LEDs. Adjustable Mounting Bracket: With adjustable mounting bracket, the work light can adjust to about 45 degrees, which makes changing direction easier. 2X 2.80" 3200Lm Round White Angel Eye Halo LED Projector Fog Light 4X4 ATV Truck. We work hard to keep mistakes to a minumum but they can happen. DO NOT INSTALL! Installation Hardware Included. What do I do?. Lens Color. We are a division of a large corporation that has locations in many states. Description of the goods :. Socket Type : / H11 H8 /. Cross Reference: :/ H11 H8/. Color Temperature : White 6000K. Application: Fog Light. This product is warehoused in California, USA. Appreciate your understanding! 12V LED Fog Light Laser Rocker On/Off Switch Wiring Harness 40A Relay Fuse Blue. Full Wiring Kit for All Light Bars with LASER ROCKER SWITCH ON/ OFF switch. Relay: 12V 40A. connect the the red wire from the fuse to battery ; connect the black wire from the reply to the battery -;. 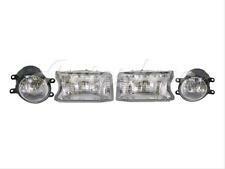 Specification: 4Runner 03-05 Front Fog Lamp RH, Assembly. Toyota 4Runner. 2pcs H16 100W LED 2323 Fog Driving DRL Light Bulbs 4300K yellow. 2X 9005 HB3 LED 100W 10000K Blue Projector Fog Driving Light Bulbs. 2x 9005 HB3 9145 H10 8000K ice-blue 100W LED Projector Fog Driving Light Bulb. Socket Type:H3. 2 x H3 Fog Driving Light Bulbs. LED Type: 20 2323 LED chip high power. Ultra Bright LED, unique and more vivid color. Color:6000K Xenon White. If you buy the wrong products, plese inform us as soon as possible. Made with 27-SMD LED bulbs Multi-Color RGB LED emitters for a great color changing look; Increase safety when driving at nigh. Led:27LED 5050. Color: RGB Light 6000K Power. 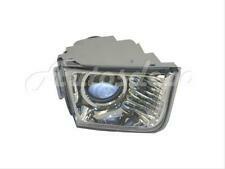 Ideal used for fog lights. 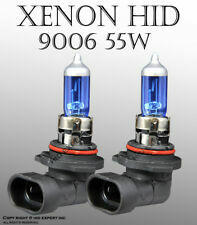 2Pcs Headlight H8/H11 Lights. 01-02 |Toyota|4Runner|Base Sport Utility 4-Door. 99-02 |Toyota|4Runner|Limited Sport Utility 4-Door (00 01). 99-10 |Toyota|4Runner|SR5 Sport Utility 4-Door (00 01 02 03 04 05 06 07 08 09). 99-02 |Toyota|4Runner|SR5 Sport Utility 4-Door (00 01). Fit 2009-2017 Toyota 4Runner. Driver And Passenger Side Bracket Included. No Affect On Opening Or Closing Of Hood. 1x tow hitch mounting bracket. tow hitch mounting bracket. Featuring high intensity Cree LEDs, high energy efficiency& stability. Suitable for vehicle with 2.5” heavy duty towing hitch. Requires at least 1" clearance above and at least 0.6" clearance behind the hitch. Item 141681950749 - H16 Type 2 Two PGJ19-2 64219 123666. Item 161612137429 - H16 Type 2 Two PGJ19-2 64219 123666. Item 131594656193 - H16 Type 2 Two PGJ19-2 64219 123666. Kelvin (Color) - 2000K Orange Amber. 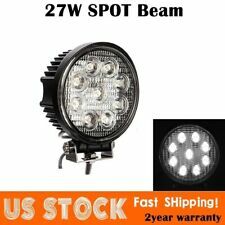 9005 9006 Combo Total 2600W 390000LM LED Headlight Kit High Low Beam Lamp 6000K. 9005 9006 H11 Kit 3 SET Combo COB Light High Low Beam LED Headlight Bulbs. This light fit for below Part No. : 9006 HB4. 2010-2013 Lexus RX450h. 2008-2014 Lexus LX570. 2010-2013 Lexus RX350. 2006 Scion xA. Model: Toyota / Lexus. 2010-2012 Lexus HS250h. 2013 Lexus GS350. 2013 Lexus GS450h. 2x COB fog lights. Fog Angel Eyes is a new type of energy saving and green light. It has low power consumption and long life span. The beam angle of a traditional LED auto lamp is only 160 degrees. Beam Angle: 30 degree(spot beam) & 60 degree(flood beam) combo. StraightLED light bar. Product Display. WARM REMINDER.